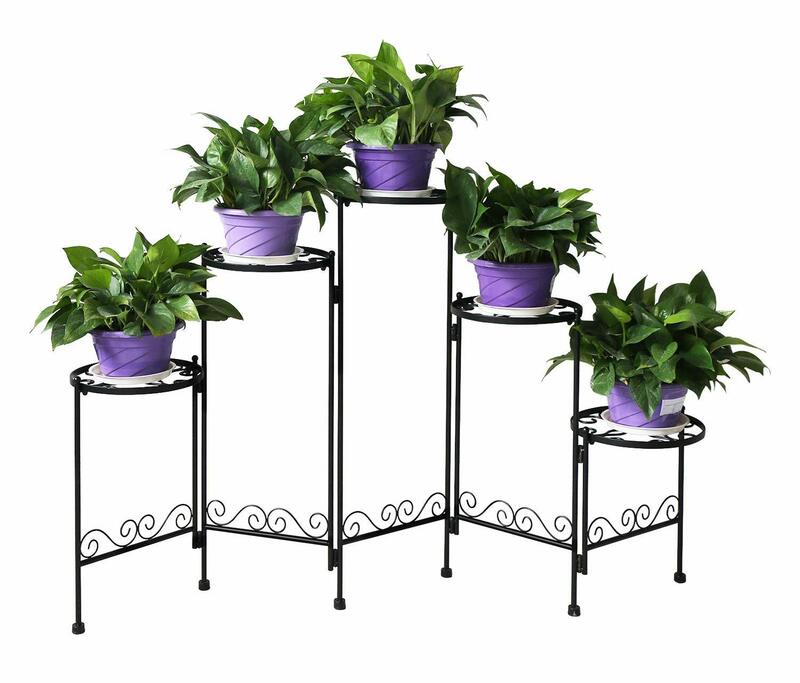 Classic 3-tier shelf plant stand with modern”S” design. 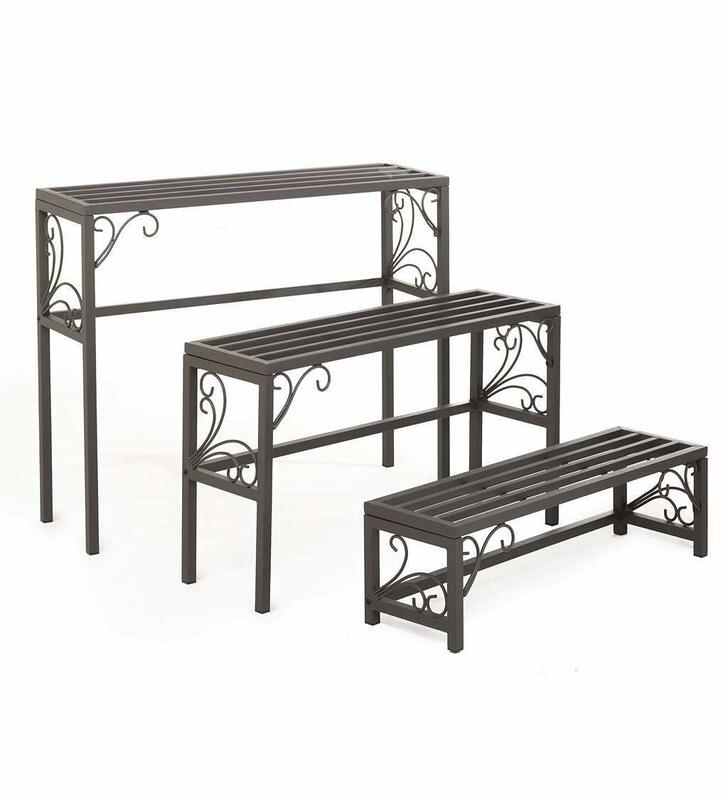 Round metal rails of each shelf guarantee the plants. Charming gate design with flowers and butterflies decorations. Size: 28.7″ *10.2″ * 26.5″, Weight: 8.4 LBS. 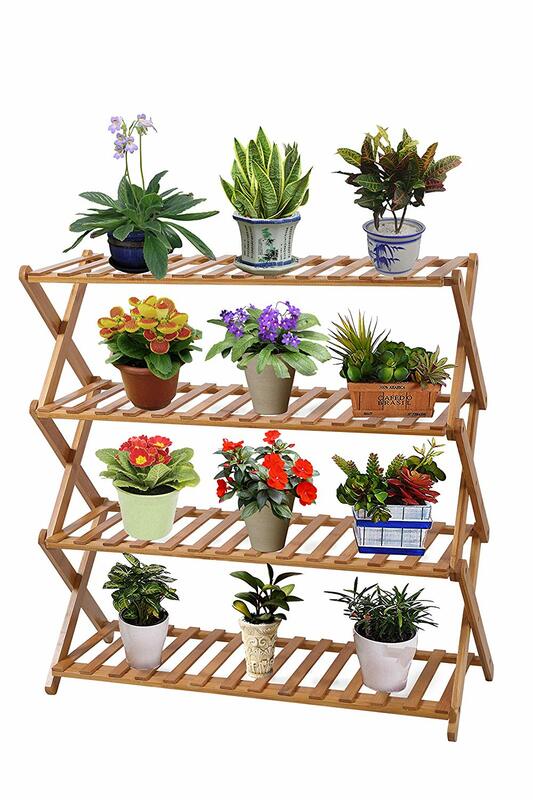 I love this foldable plant screen. There are so many ways you can use it. If you have a fireplace, during the seasons when it is not in use, this would be perfect for a spot like that. The versatility and durability of this one make it a win-win in my book. 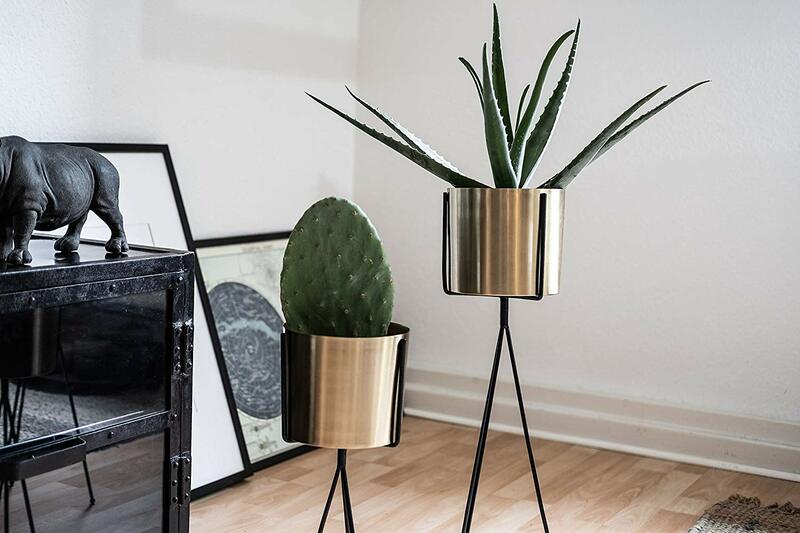 Another bonus to this choice is since the pots that come with it are 7″ in diameter, you can set your plastic orchid pot within those decorative brass outter pots and they will still have room to breathe. That’s critical for an orchid’s health. 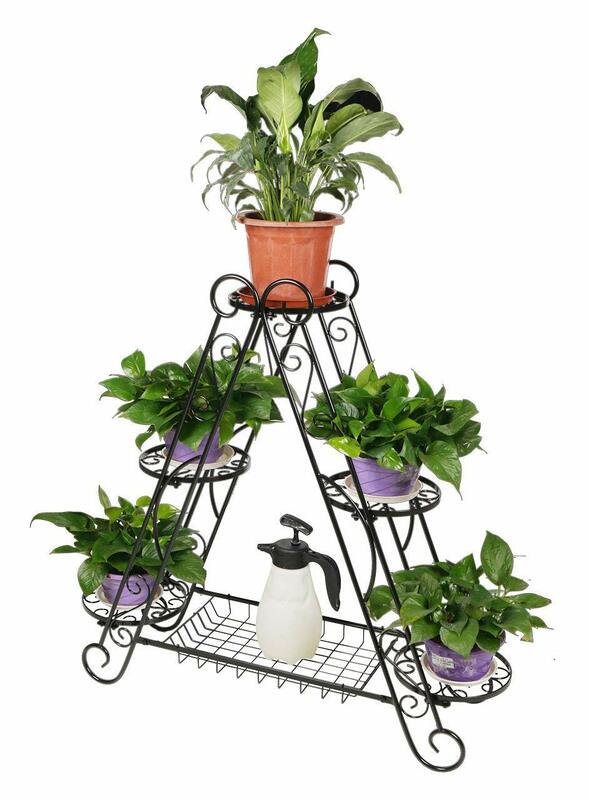 The taller plant stand is 26 inches in height, while the shorter stand is 18 inches high. Last but not least, another thing to consider about this stand is the security of the pots within the frame. 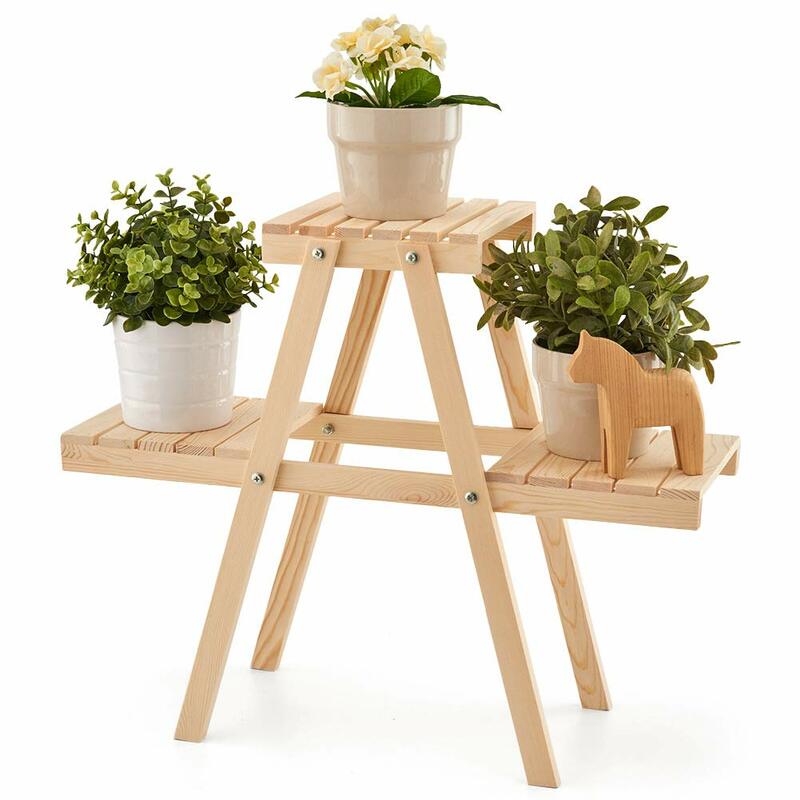 If you have pets or young kids, plants are easily knocked over. With this set, you will notice how there are some supports holding the pot in place. Another option you have is one of the more timeless, classic designs. It’s the 3 tiered shelving unit. 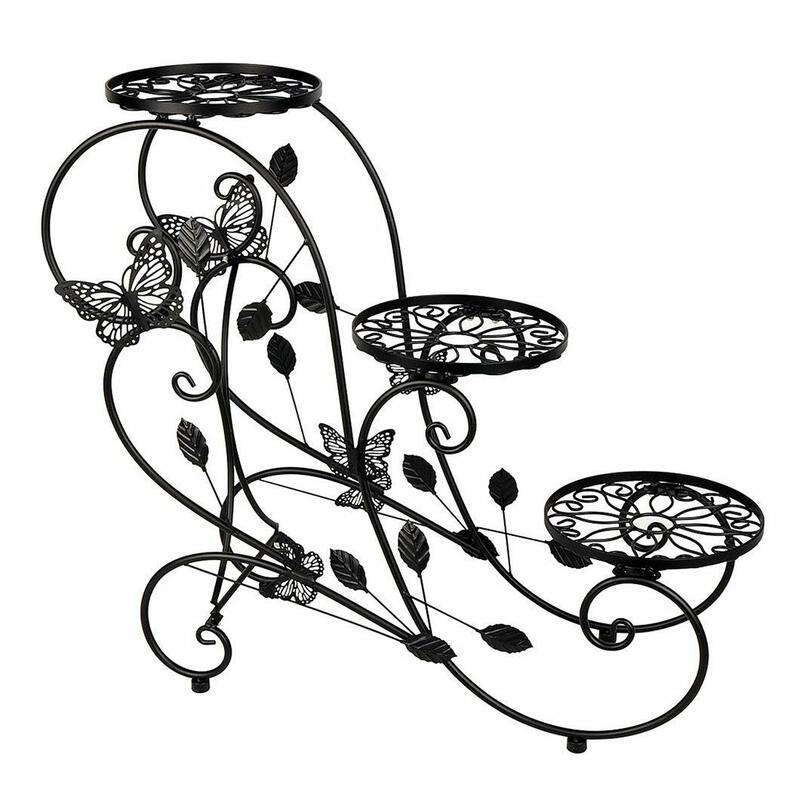 This particular design is very versatile and will fit in pretty much wherever you place it. Holding 5 plants is perfect. The A-frame styling of this stand make it unique and definitely usable for orchids. Sturdy and durable are qualities I require and this one has it.